If you missed it, watch the episode on LOGO online. I usually throw a note in about Jon&John’s fab recaps. 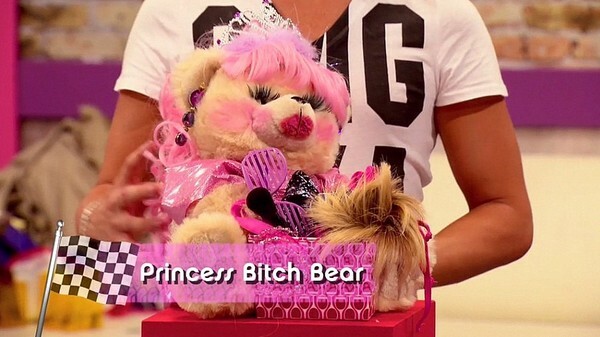 Apart from the love they show Latrice Royale, I did not love the treatment this week. You be the judge! As for the episode – AMAZING! This week started out with a little civil disobedience from the Top 4 ladies – No Mo Hos! – in protest regarding the return of a previously eliminated queen. Lucky for them, Ru brings back one of our faves – lil Kenya Michaels! 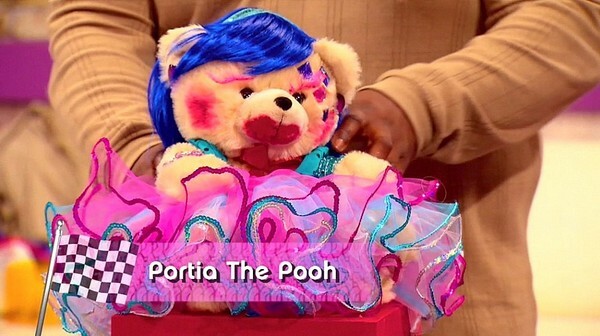 I LOVE Latrice’s bear, Portia The Pooh! All of the bears will be auctioned off at this year’s gala, Bear to Make a Difference, via the Matthew Shepard Foundation. Get your tickets for the September event! For the main challenge, the queens are asked to transform four DILFs (Dad’s I’d Like To Frock) into some sort of new acronym that explains “Expectant Drag Queen Moms I’d Like to Frock”…. (we’ll sum that up with MILFs). They are also asked to make a clear family relation between themselves and their DILFs. The queens get to work on the makeover and then find out they have to do a striptease as well! 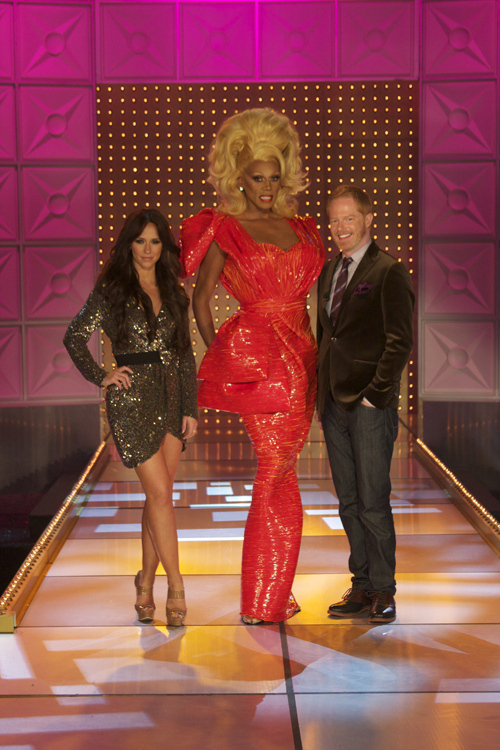 Guest Judges this week are Jesse Tyler Ferguson of Modern Family and Jennifer Love Hewitt of vajazzling/Ghost Whisperer/etc. fame. Kenya and Latrice must lipsync to “(You Make Me Feel Like) A Natural Woman” by Aretha Franklin. Let’s just pause here…Latrice BRINGS. THE. HOUSE. DOWN. 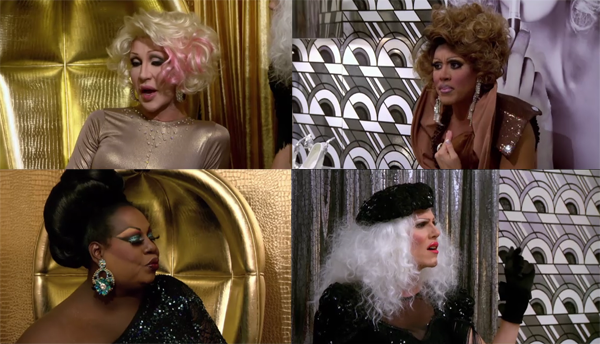 I urge you to watch the entire episode, but here is a glimpse of the lipsync. SO much heart! 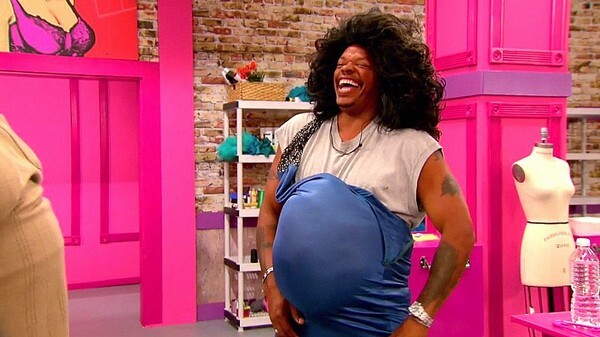 In the end, Kenya goes home — we’ll miss you, lil fishstick! Off to next week we go with the FINAL four queens. I have a list of the order in which I’d like the queens to go, (Phi Phi sashays next, then Chad, then Latrice, and Sharon wins). Agree? Thanks to Tom + Lorenzo for the fab photos this week!